Over the next week, the forum will be updated to a new forum software. Its very similar to vBulletin which we have now but it offers better add-ons and few issues. The site will be down for a few hours, once the forum is back up it will be the default color for a few days until the theme skin is updated. Please be patient. The new software will feature some cool upgrades that you guys have been asking for. What’s the name of the new program? Can't wait for all the bit$%in' about the new forum. Its gonna be awesome! I think my wife is so afraid of how it's going to go, she's going on a vacation without me! I've had several PMs asking it their password or login will change. Nothing will change with your login credentials. We have switched. There will be some glitches and bugs. The forum will be under construction for the next few days. If you see any major issues please post them up. Yes. we know the site is not green and black We are working on that. Click members name to see his rating. To leave feedback as a buyer or seller go to the member's profile page. Click the feedback stats text, then click the Add Feedback button. Anyone else having issues with Tapatalk now? 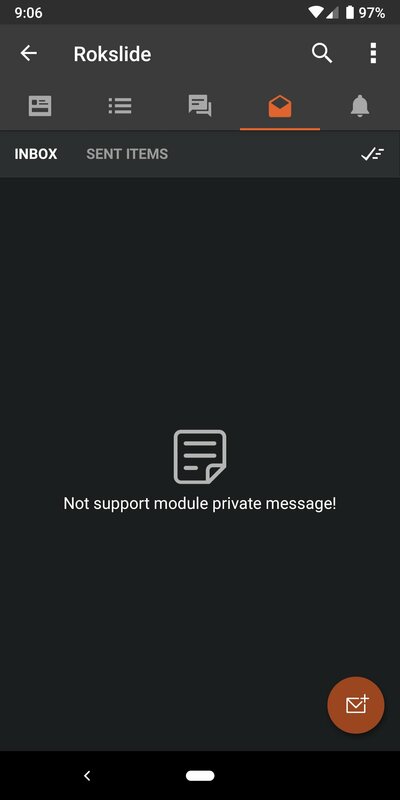 For some reason I cannot check private messages on Tapatalk now. The only thing I noticed is my pictures in the classified ad I have posted don't show up for me. The pics for other ads show up. I used Imgur to load them. Other than that it looks good to me. This is great ! I recognize this from another forum I frequent and it works much better. Especially pictures. Looking forward to the Rokslide skin back on. On Tapatalk when viewing my profile there is a “trophy point” count below following, followers, etc. What does the trophy point mean and how is it measured? XenForo is much easier to use mobile so much so that all the users on my Toyota forum have no issues uploading and embedding images directly from their mobile device. Thanks for going with XF! When do I get all these trophy I have been awarded?